MiX Telematics Africa – a leading global provider of fleet and mobile asset management solutions – together with their consumer brands Matrix and Beame, has been awarded the internationally recognised ISO 9001:2008 Quality Management System certification. 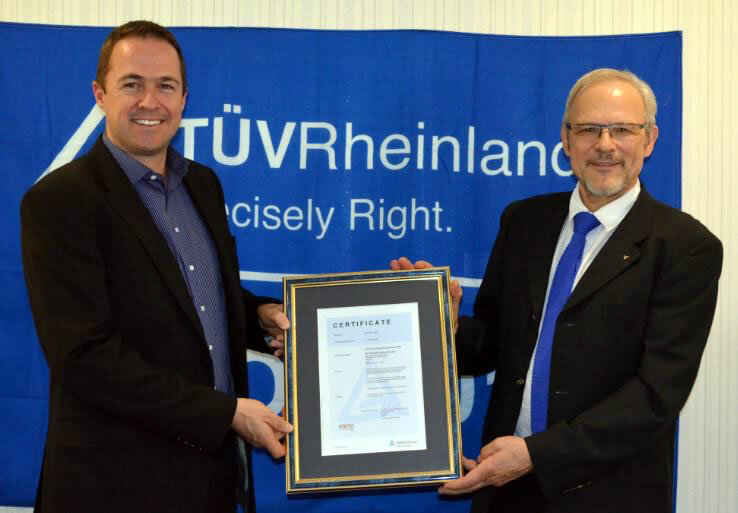 This is the fourth ISO 9001 accreditation received by MiX Telematics Africa since 2003, but it is a first with global auditing company TÜV Rheinland Inspection Services, a testing service provider for quality, and human, technological and environmental safety. The ISO 9001 certification is based on quality management principles, including strong customer focus, motivation and involvement of top management, the process approach and continuous improvement and review. This certification demonstrates MiX Telematics’ commitment to providing quality solutions and enhancing customer satisfaction. The ISO 9001 quality management system was developed to establish an effective quality management program for companies of all sizes across the world and across all industries, regardless of their type, size and product provided. Important components of ISO 9001:2008 include customer satisfaction and establishing processes for continuous improvement which is highly valued by MiX Telematics. “We are extremely proud to have achieved ISO 9001:2008 certification. This recognition underlines our commitment to our customers and our focus on quality as we continuously strive for excellence” concludes Horan. MiX Telematics is a leading global provider of fleet and mobile asset management solutions delivered as SaaS to customers in over 120 countries. The company’s products and services provide enterprise fleets, small fleets and consumers with solutions for safety, efficiency, compliance and security. MiX Telematics was founded in 1996 and has offices in South Africa, the United Kingdom, the United States, Uganda, Brazil, Australia and the United Arab Emirates as well as a network of more than 130 fleet partners world-wide. MiX Telematics shares are publicly traded on the Johannesburg Stock Exchange (JSE: MIX) and on the New York Stock Exchange (NYSE: MIXT). The TÜV Rheinland Group is a leading provider of technical services worldwide. Founded in 1872 and headquartered in Cologne, the Group employs 19.320 people in 500 locations in 69 countries. It generates annual revenues of € 1.7 billion. The Group’s mission and guiding principle is to achieve sustained development of safety and quality in order to meet the challenges arising from the interaction between man, technology and the environment.